Anukriti Group is a reputed real estate company based in Jaipur. The various aspects of the company’s operations include land identification and acquisition, project planning, designing, marketing and execution. 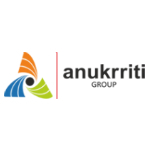 Having been in the real estate field for 16 years, Anukriti Group is now a name to reckon with. The portfolio of property by Anukriti Group encompasses homes, industrial parks and commercial complexes, mainly in Jaipur. It is considered to be synonymous with quality and reliability. It deals with a wide range of products including villas and apartments in various sizes and at diverse locations.